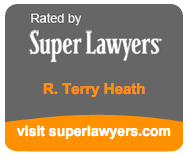 Terry Heath has practiced law continuously since 1979 as a health care attorney. He renders advice and counsel to some of the nation's largest health systems, many general and specialty hospitals, individual medical practices and health care joint ventures (and other collaborative efforts) between hospitals and physicians. He regularly provides advice and counsel regarding business, tax, regulatory and governance issues to his clients. Mr. Heath is a past managing partner of Hall, Render, Killian, Heath & Lyman and the current head of its Health Transactions Section, and he serves on the firm's management and compensation committees. His law firm has 150 attorneys, almost all of which concentrate their efforts in the representation of health care-related clients. 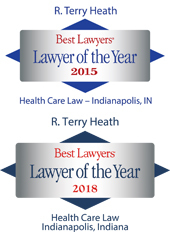 He regularly speaks to national audiences on matters concerning his practice, is the recipient of several awards for excellence in the practice of law and has served on the national Board of Directors of a large nonprofit health system.